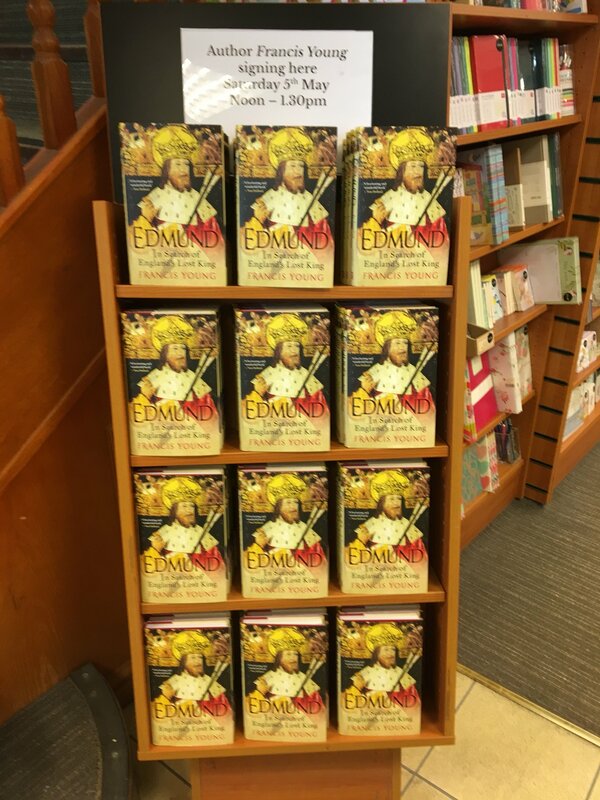 Today I launched my new book Edmund: In Search of England’s Lost King at Waterstones in Bury St Edmunds’s Buttermarket, by signing copies of the book for members of the public who visited the bookshop between 1200 and 1330. 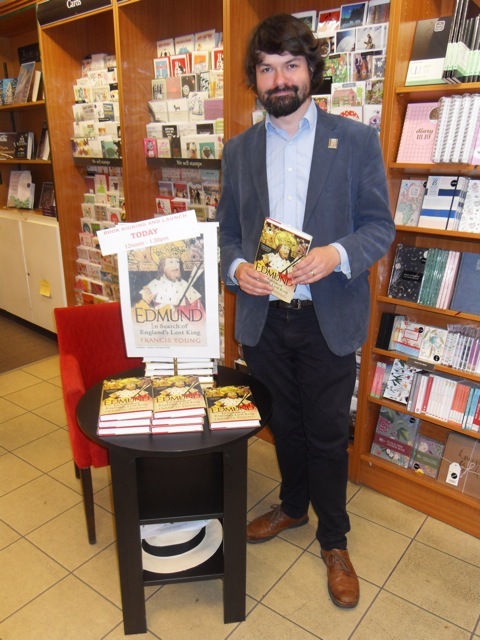 Terry Chittock of the local community group ‘We Love Bury St Edmunds’ interviewed me about the book in a live feed for the WLBSE Facebook page. I was also delighted that my editor from I. 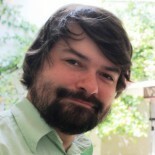 B. Tauris was able to attend. This entry was posted on May 5, 2018 by jacobite.